Visit Senegal can be an exciting experience, but you must be informed about the required vaccinations when traveling to this country. Traveling is a nice habit for many people. Among the exotic destinations that are chosen, one is Senegal. Traveling north of Senegal can be pretty exciting. However, it is necessary to consider that before traveling to Senegal should go to the doctor to put relevant vaccines. Whatever the time of year you travel to Senegal, health authorities always recommend the following vaccines. The yellow fever vaccine is important and can put in health centers usual children who more than one year old. 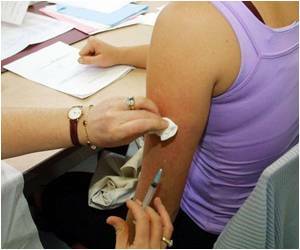 The same availability vaccine exists for hepatitis A. However, people who have lived in a developed society is possible that they have already developed antibodies against the disease, to save money on vaccines, it is advisable to carry a study of antibodies. Other dangerous diseases if you are traveling to Senegal are the Hepatitis B vaccine which can put children over the age of two months, the diphtheria, tetanus and polio. Regarding these three last illnesses, if a person is vaccinated them over ten years ago, it is important to go to the doctor that put other vaccines to strengthen your immune system. If you were to travel to Senegal and the place is known to have poor hygienic conditions, it is best to get vaccinated against typhoid, which can put children older than two years. It is also important to learn about malaria drugs in the nearest health center. If when you go to travel to Senegal, you know your stay will be quite long, there are other vaccines that are recommended to receive. The rabies vaccination is advisable if this period will pass relatively isolated from the outside world and can be applied to children who already know how to walk. It is also important, especially if you know the area you are traveling is epidemic, the vaccine against meningococcal meningitis in children over two years old. For children, essential vaccines for tuberculosis when they have one month and measles, mumps and rubella at nine months.